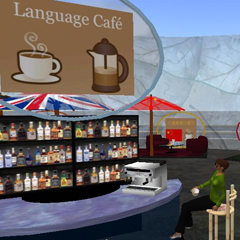 Between 2007 and 2014, eLanguages was been involved in a number of projects exploring the use of Second Life in teaching and learning. These included projects which investigated the use of Second Life in the teaching and learning of languages in 3D immersive worlds (Cardenio and M3: MUVE, Moodle and Microblogging), and a CLIL (Content and Language Integrated Learning) approach to the teaching of European students of Architecture and Design using immersive worlds (the ARCHI21 Project). eLanguages was also been involved in helping to create the University of Southampton island in Second Life, and developing an area on the island representing the Modern Languages and Linguistics department at the University of Southampton.